For as long as the internet has existed, so have online hoaxes. Over time we like to think we have got savvier at sifting through the bullpoop we find on the web, but you’d be surprised at that amount of unbelievable stories that people still fall for. From Bonsai Kittens to flaming twerk fails, here are our ten favourite viral hoaxes of all time. In 2013, at the peak of twerking frenzy, this video of a girl accidentally setting herself on fire while attempting a handstand twerk went viral, gaining 9 million viewers in just a week. However, it turned out to be a clever hoax, orchestrated by non other than TV host Jimmy Kimmel. One thing we’ve learned from the web is that if someone is offering you free money, there is probably a catch. This still doesn’t stop people from falling for it every time though. 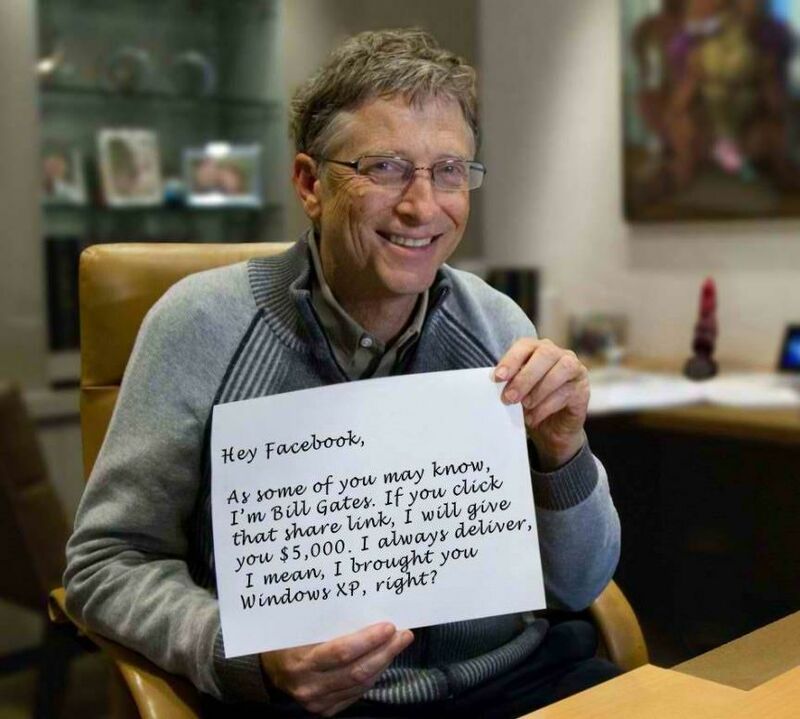 The designers behind the multiple Bill Gates money hoaxes that have popped up over the last two decades know this very well, and claim that the computer-billionaire will give free cash to anyone who forwards info about the scheme. As you probably guessed, Bill Gates has yet to pay out. Despite this very convincing YouTube video full of believable sounding psuedo-science, you can’t actually make an iPod charger from an onion. Like many great online hoaxes this one started with a doctored photo. 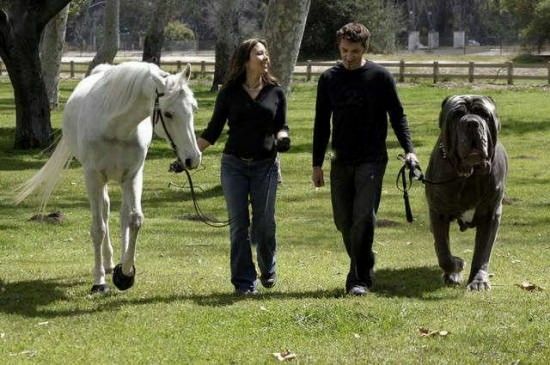 In 2007, this picture began circling the web with the caption “Hercules was recently awarded the honorable distinction of Worlds Biggest Dog by Guinness World Records. Hercules is an English Mastiff and has a 38 inch neck and weighs 282 pounds.” Sadly, dogs don’t really get as big as fully-grown horses. In 2012, it was falsely reported that pop sensation Justin Bieber had been diagnosed with cancer. 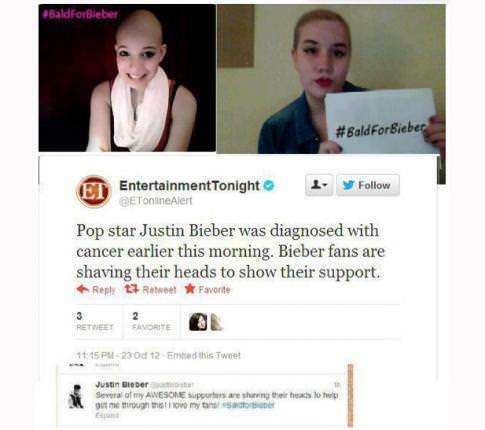 Supposedly, a string of fans began shaving their heads in solidarity for the illness-stricken star and posting the results on Twitter under the hashtag #baldforbieber. The one dates back to 2004, just after the start of the second war in Iraq. 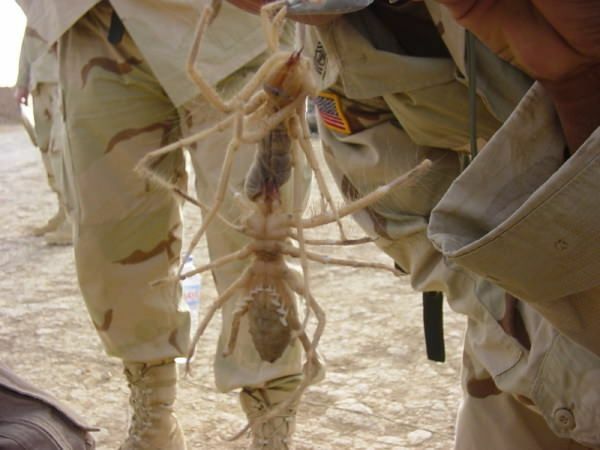 In this image two giant interlocked spiders dangle from a soldiers uniform. An accompanying caption claimed this was one of the non-human dangers facing soldiers in the Iraq desert, and that these creatures could run up to 25mph and feasted on the flesh of camels or unlucky soldiers who wandered into their path. This hoax was a collection of myths combined to make one big one. Camel Spiders are real, however, they aren’t actually spiders, rather another member of the arachnid family like ticks and scorpions. They are quite large, but not as gruesomely big as the image makes out. They also don’t usually bite humans, unless they feel threatened. But even if they did have a nibble Camel Spiders are non-venomous and their bites aren’t fatal. They’re still pretty gross though. Everyone remembers the Bonsai Kittens scandal. In 2000 Cruel.com featured the Bonsai Kitten website as its ‘Cruel Site of the Day’. 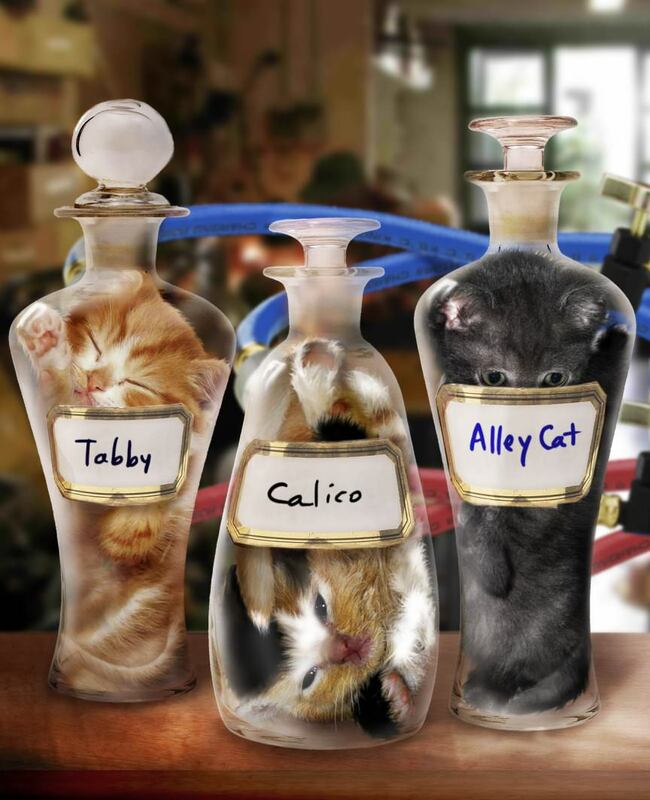 Bonsaikitten.com was full of images of cats in jars, including instructions on how to grow your own ‘Bonsai Kitten’. A supposedly lost Japanese art, the site claimed that if you put a feline in a jar while it was still a kitten its bones would adjust and it would grow to fit the vessel constraining it. Unsurprisingly, animal lovers were infuriated and several groups created petitions and sent complaints to the Humane Society and the Animal Welfare Institute. Imagine their embarassment when it was revealed that the site was a joke created by an MIT student going under the alias of ‘Dr Michael Wong Chang’. An oldie but a goody. In 2001, shortly after the September 11th attacks on the World Trade Centre, this photograph began circling the web. A caption attached to the image stated that this photograph was found on a camera discovered amongst the debris of the disaster, and was taken seconds before a hi-jacked plane collided with the tower. The image was a media sensation, and became known by several names including ‘The Last Tourist’, ‘Tourist Guy’ and the ‘Tourist of Death’. However, at the height of the image’s popularity Hoaxapedia outed the story as a fake by pointing out several inconsistencies. 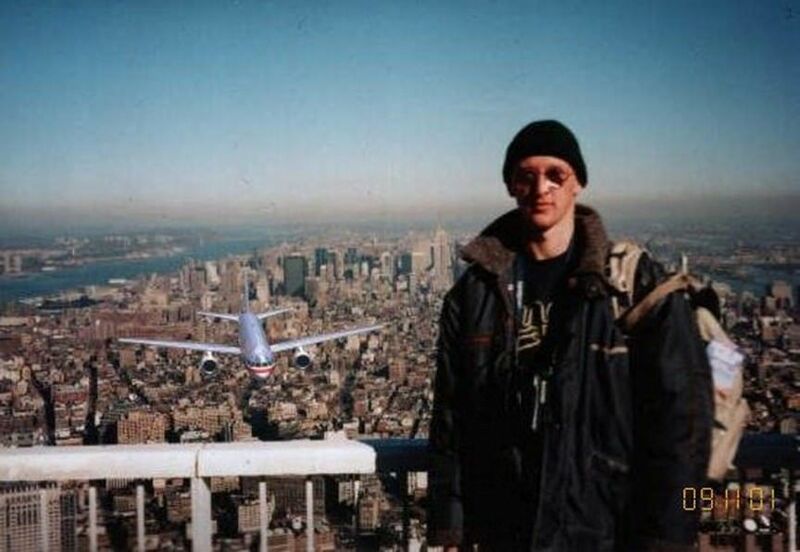 These included how the plane in the image was a Boeing 757, when the planes that crashed into the World Trade Centre were 767s, how it was coming from the wrong direction, and the fact that the man is standing on the observation deck of the South Tower, meaning he’d have to have happily been posing while the North Tower burned right next to him. Eventually, a 25-year-old Hungarian man named Peter Guzli came forward as the image’s creator. He’d doctored the picture as a joke for a few friends and didn’t realise it would go viral. One of the biggest online sensations of 2006, at first glance this seemed like a normal video blog about a teenage girl called Bree with her normal teenage problems. However, within a few vlogs her story had gone from one exploring light, common issues to very dark revelations about a bizarre cult her family was involved in. Both the blog and Bree’s MySpace profile received large amounts of media attention before it was revealed it as a hoax. The series was the idea of a clever creative agency and Bree was really an actress. Despite this, the web series remained popular until it ended in 2008. 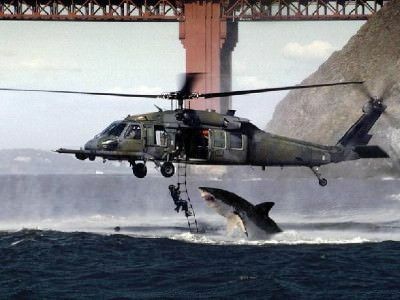 One of the earliest reports of online trickery, in 2002 this image of a shark attacking a Navy helicopter began making rounds on the web via email (oh the early days of the internet, such simple times). It has been nominated by National Geographic as “THE photo of the year”. Sadly, this incredible-if-true image was a composite of two completely unrelated photographs, and National Geographic were keen to stress that they did not nominate it as photo of the year. Be honest, did you fall for any of these the first time around? Next articleMortal Kombat is Getting Rebooted – Which Celeb Should Play Who? 15 Inventions That Should Have Been More Successful! 21 Etsy Purchases That Will Make An Avengers Fan Go Crazy! If you like weird (but awesome) homemade crafts then Etsy is the perfect website for you. Think of it as the Amazon for geeks - especially if you are a fan of superheroes like the Avengers. 15 Original Birthday Present Ideas That Will Cheer Up Your Friend!